All efforts of the government have been apparently shadowed by the murky affairs of the GSMA. GSMA has come in the dock for its unfair charging of millions of dollars for TACs to Indian manufacturers and not charging the same to Mainland Chinese Manufactures since 2010. Unfair practices by global telecom body Groupe Speciale Mobile Association or the GSMA, particularly TAC pricing structure for Indian mobile manufacturers, seems to be greatly affecting the mobile ecosystem in India, Indian Mobile Phone Industry said. No doubt, with such biased policies at its disposal the GSMA now is obliquely referred to as a proponent of Great Smokey and Murky Affair (GSMA). There are hundreds of invoices over years in which no money was charged to Mainland Chinese Manufactures for the issuance of TAC, whereas the unbiased pricing ranging from entry price of USD 2000 for 2 TAC was charged to the Indian Manufacturers. The liberal and reformist policies of the Government of India have been instrumental along with strong consumer demand in the rapid growth in the Indian telecom sector. The government has enabled easy market access to telecom equipment and a fair and proactive regulatory framework. But all efforts of the government have been apparently shadowed by the murky affairs of the GSMA, the Indian mobile device manufacturers said. The New National Telecom Policy 2018, touched many aspects to set the mobile eco-system in the country in a vibrant mode, yet it failed to address this important issue, leaving the mobile manufacturers in a huff. GSMA has come in the dock for its unfair charging of millions of dollars for TACs to Indian manufacturers and not charging the same to Mainland Chinese Manufactures since 2010, selling of the data gathered from Indian Manufactures for millions of dollars on yearly basis, and of course data privacy. The Type Allocation Code (TAC) is the initial eight-digit portion of the 15-digit IMEI and 16-digit IMEISV codes used to uniquely identify wireless devices. TAC identifies a particular model (and often revision) of the wireless telephone for use on a GSM, UMTS or another IMEI-employing wireless network. The first two digits of the TAC are the Reporting Body Identifier. This indicates the GSMA-approved group that allocated the TAC. The GSMA charges Manufacturers a fee for the TAC Allocation process in order to recover the costs associated with the administration, promotion, generation, allocation and management of the TACs. The GSMA administers the TAC allocations scheme according to TS06 as defined by the global mobile network operator and manufacturer community through the GSMA Terminal Steering Group in accordance with 3GPP international standards. The GSMA insists that fees are transparent and consistent across the industry. But the facts contradict their claims. There are hundreds of invoices over years in which no money was charged to Mainland Chinese Manufactures for the issuance of TAC, whereas the unbiased pricing ranging from entry price of USD 2000 for 2 TAC was charged to the Indian Manufacturers. GSMA says it tests devices for IMEI security weaknesses and also seeks remedy but keeps mum over questions like—laboratories where they test these devices in India, brands. This is a great injustice to Manufactures in India who were exploited greatly. If any manufacturer had to launch only one device, he was forced to purchase BAND 1 which was pegged at USD 2000. While the other TAC credit was kept with the GSM Association. The Mobile Manufacturer GoeBazar having mobile phone brand MEGUS has refuted GSMA’s claim and asked them to come forward with the details. Another Indian Mobile phone brand Karbonn, who has been in the mobile industry for the last 10 years, further raised their concerns regarding the IMEI / TAC problem in India with GSMA. “We found a lot of mobile brands selling in Indian markets easily at shops not even taking genuine IMEI numbers. They are doubling TAC numbers from unique numbers,” says Karbonn Mobiles Technical Director Basappa Muttur. The official price structure of GSMA in 2010 is completely different from what the GSMA claims. While Indian Manufactures were charged $2000 minimum for TAC the Chinese manufacturers have levied no charges. Refuting such allegations of uneven pricing, GSMA Head of Managed Services Adrian Dodd, said that GSMA has a single price structure that is applicable worldwide. “GSMA fees are well known and consistent across the industry, USD400 per TAC capped at $30,000 in a 12 month period with the option for large producers to pay a $30,000 annual subscription,” Dodd said. 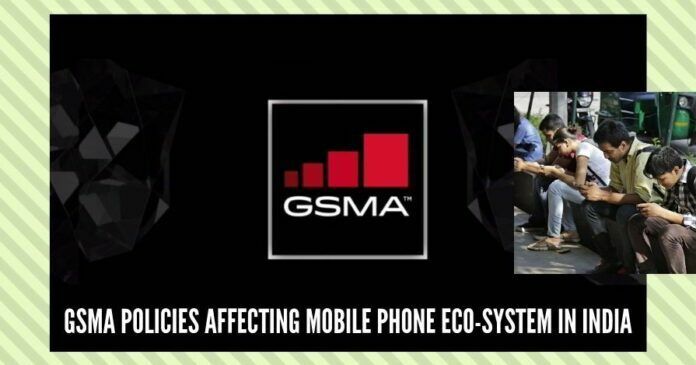 The GSMA also claims that it is a non-profit organization. But then it’s raising invoices under a separate entity— GSMA Limited —raises serious questions over its credibility and intent. A bundle of contradictions, GSMA says it tests devices for IMEI security weaknesses and also seeks remedy but keeps mum over questions like—laboratories where they test these devices in India, brands, and models, they check it for, country-specific devices they test them for or the IMEI security weakness for the 250 models which the Indian Mobile brands have complained about. The GSMA also claims to routinely and confidentially deal with IMEI fraudsters but is silent over the mechanism adapted to detect them in India. Seasoned media professional with over 27 years of experience in all formats including new media,print and broadcast. Regulatory and governance affairs core areas of expertise.